The purpose of a parent is to raise children who don't need them anymore! Isn't that a refreshing concept? We want to raise children who are able to grow into adults who can survive on their own without our help. In order to achieve this goal, we need to foster independence in children and give them the skills they need to be self-confident and capable. One of my favorite parenting slogans that I learned when I was a young mother was that the purpose of a parent is to raise children who don't need them anymore. That thought has governed nearly every decision I made while my kids were growing up. Since my children are now all independent, self-supporting, responsible and happy adults, I feel that this was a positive approach to parenting. How can you go about nurturing independence in children? Whenever we are tempted to do something for a child, because it is easier for us to just do it, rather than teach the child how do it themselves, we are undermining their confidence and their ability to grow up to be the kind of adults who have self esteem and are independent. Since I wanted our children to be happy and self-sufficient, I had to take every opportunity to teach them independence. Isn't that what you really want for your children, too? Here are some of the lessons you can teach your children to help them become more independent and have self confidence. 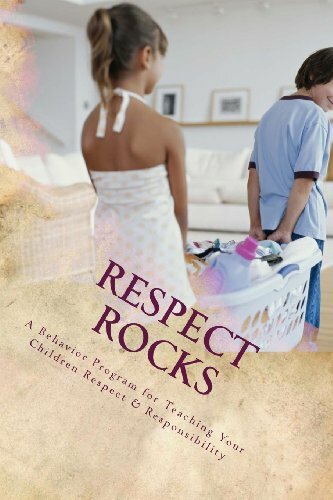 Use this Amazon link to books that help parents teach their kids responsiblity. The first step in building self confidence and self esteem in children is to help them learn how to handle their own dirty clothes. When they are little, teach them to put their dirty clothes in a hamper. Later, they can learn to put their clean laundry away. Eventually, by the time they are in middle school or high school, most teens are able to do some of their own laundry and ironing themselves. This is important for both boys and girls since, by their late teens, they very well may be off at college by themselves ... and who will do their laundry, then? Another step in raising children who have self confidence and self esteem is to teach them to straighten their room and make their bed. Of course, parents also need to be realistic, and purchase bedspreads or comforters that are as simple as possible. Even preschoolers are able to pick up their toys before bed. By the time your children are teenagers, they should be able to maintain some level of cleanliness in their rooms, including occasionally running the vacuum and dusting. These cleaning chores can reasonably be tied to their receiving an allowance, which will increase their self esteem and confidence even more. Children also become more self confident and independent when they learn to fix simple meals for themselves ... cereal, peanut butter sandwiches, and lunchmeat sandwiches, for example. Eventually, they will be able to heat a can of soup or boil the eggs for the family Easter egg hunt. Teach them to use a can opener and the microwave oven. In addition to teaching children to prepare their own food, teach them basic nutrition facts. Every child should know that it is best if they combine a little protein with a few vegetables at every snack or meal. All of these activities will help build self confidence in your children and help them be independent adults. They will be much more comfortable when they head off to college or that first apartment, as well. Children also have more self esteem and self confidence when they learn to do their own homework with a minimum of supervision. However, as a parent, you may still want to ask them to show you what they have accomplished each evening. Rather than using this time to admonish them if their work is not perfect, make this a time when you compliment them for any signs of improvement, or any extra effort that you see them making. Ask them about their work, and show sincere interest. Young children, in particular, will look forward to showing you their work. If they don't have much homework, encourage them to develop their skills in other ways. For example, they could read to themselves or younger siblings. Praising them for these important activities is another way to build self confidence in children. It is also important that they see you doing "homework" in the evening, too. Gather your children around the kitchen or dining room table to do their homework. Turn off the television and other distractions. Then, pull out a book, or use this time to pay bills. It will benefit your children to see that adults also need time to do paperwork, learn new material, read, and use their math skills. Minimize any criticism you have of their work; maximize your praise. After your study time is over, you can all reward yourselves with a favorite TV show, game, or snack. Another important aspect of helping your children to become self confident and have high self esteem is to teach them good hygiene, and the importance of showering, as well as having clean hair and clean teeth. One way to keep conflict to a minimum is to have a behavior chart. Each time the children shower, brush their teeth, or perform other aspects of personal hygiene, give them a "star." After they collect enough stars, they can earn a prize. If they fail to clean themselves up, they don't get a star. Don't relent and give them the reward anyway. Very quickly, they will discover there are lots of benefits to being clean, and eventually they will discover they don't like to feel dirty. Children also become more self confident and have self esteem when they learn how to shop and handle money. How about giving them a clothing allowance when they reach middle school? What about allowing them to earn some of their spending money by doing extra chores around the house, or babysitting for younger siblings, nieces, or nephews? All these skills are important steps towards helping them become the independent young men and women you would like them to be when they eventually go off to college or get their first apartment. Once your children have learned these basic life skills, including how to cook, how to be responsible for their education, how to take care of their own personal hygiene and how to handle money, you will have children who are well equipped to living independent lives, which is exactly what you want! This guide could completely change your relationship with your children, and put them on the path to becoming happier adults. Teaching children independence is an ardent but rewarding task for parents. Achieving self-reliance and taking responsibility for ones own behavior and actions is key to producing healthy adults. Great article Deborah! I agree. I think it is one of the most important things that parents can do for their children. You hit all the high spots for raising independent children. I feel similar, and raised my 2 daughters to be very independent females, too. Mothering was my most important and fulfilling "job." Good article. Great article Diane! The goal for all parents should be to teach their off spring to be independent adults. It is rewarding for the parents as well as the children. To know that you did well in their raising and watch them do well with doing the same for their children is very rewarding. Having good kids is not luck, it is hard work.But it is well worth the effort. Thanks. Completely agree with you. I always expected my kids to be responsible and (now I will sound old), many of today's parents have lowered their expectations and that is bad for the children.